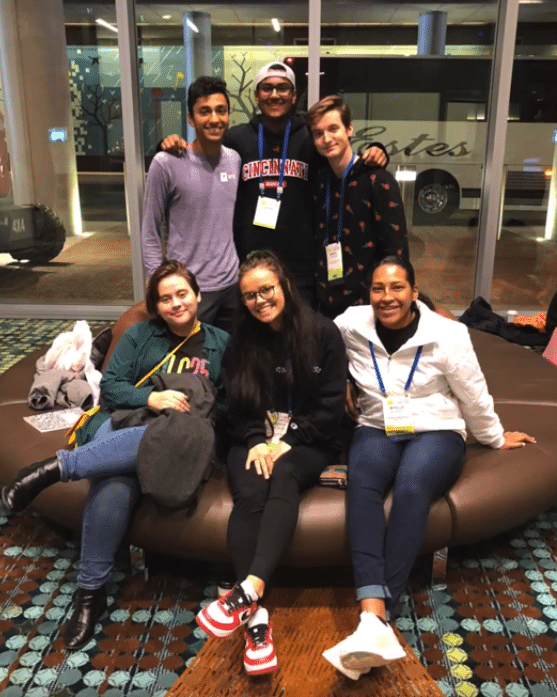 Six MVS Diversity Council members, Liberty Endres, Amin Ahmed, Ella Florkey, Myelle Norton, Satya Morar and Samuel Todd travelled to Nashville, Tennessee to attend the Student Diversity Leadership Conference (SDLC). This annual NAIS (National Association of Independent Schools) conference supports students who are interested in diversity, leadership, and inclusion. Throughout the four days, council members participated in community building exercises and activities, with the goal of bringing these experiences back to campus. By learning to embrace differences, these six students lead by example and created a safe, inclusive environment for students to be whoever they want to be. SDLC was a one of kind experience that each student found rewarding and came home with a deeper sense of self and respect for their fellow classmates. The Diversity Council plans to use these lessons to celebrate one another and live inclusively.